Ohio’s premier gaming destination banks on operational intelligence to increase marketing effectiveness. VizExplorer, a leading provider of operational intelligence solutions to the gaming industry, have signed an agreement to deploy its marketing campaign management solution at Hard Rock Rocksino Northfield Park, a 200,000-square foot venue paired with the area’s only harness racing track. Known as Ohio’s premier gaming, dining and entertainment destination, Rocksino management sought to improve the property’s marketing campaigns to attract and retain the right players, while ensuring optimal return on marketing investment. campaignViz from VizExplorer simplifies player segmentation, streamlines campaign creation and analysis, and automates offer management and optimization––helping marketers save time and grow the effectiveness of their marketing activities. “We are pleased with VizExplorer’s robust analytics and state-of-the-art systems for automated campaigns,” said Jamie Brown, Chief Marketing Officer, Hard Rock Rocksino Northfield Park. “After assessing many options, we decided that campaignViz™ was the solution and VizExplorer was the partner for us––one that would continue to meet our data needs well into the future,” she added. “VizExplorer looks forward to expanding our customer base in Ohio, and we look forward to a long relationship with Hard Rock Rocksino,” said VizExplorer’s Ken Kachnic, VP of Sales – Eastern Region. 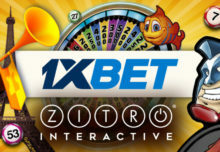 The agreement was handled by VizExplorer reseller Game Changing Technologies, a provider of licensing and consulting services to companies doing business in the casino industry.